There are a number of benefits that comes with hiring a professional web designer as opposed to designing a site on your own. It is true that you can spend a few hours using WordPress then come up with nice looking website but there are certain subtle advantages you will be missing when you go this route. The website is the architects face in the internet. People searching for architects will first land on the site before they make contact with the office. A professional designer knows how to go about the design to project a positive image about the company on the internet. This will go a long way in portraying the company as a reputable one thus enhancing the chances of getting more clients and customers. Nonprofessionals may not achieve this even if they use the best WordPress theme for architects. Professional web designers are aware of the current technologies and trends as far web design is concerned. Some of these technologies are very instrumental to the performance and user experience of every website. For instance, responsive design is currently the in thing in web design and it enables websites to render across multiple devices. Professionals are aware of these trends in technology and they will use then in designing the architect websites and set them up for maximum performance. An amateur on the other hand may not even be aware that such technology currently exists. Architects are considered as high value professions hence they are constant targets of fraudsters. An architect’s website is thus likely to attract a good number of hackers who will try to hack in and steal valuable information from the company. 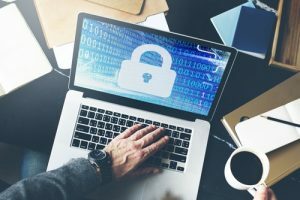 Though it is nearly impossible to have a hack-proof website, web designers have advanced security features that they use to ensure that their client websites are safe online. This implies that your website will be more secure if designed by a professional compared to when it’s designed with just any other wannabe web designer. One of the reasons why some people prefer to make websites on their own is the costs involved. However, professional web design may not be very expensive as many people think. Though the sites will have advanced features which might sometimes raise the costs, they are not as complicated as online ecommerce stores that require a lot of time to design, develop and maintain. Besides, the professionals have stiff competition amongst themselves hence they try to lure new clients with affordable rates. And you can always ask for discounts to further lower the cost. If you are interested in affordable web design for architects, visit http://www.pixelatewp.com. 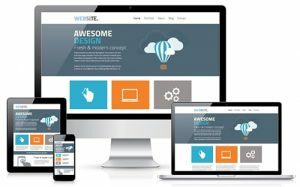 This is your ultimate resource for quality web design services as well as WordPress themes for architects.